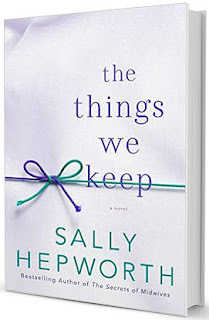 I'm always fascinated by anything that has to do with memory, so of course, I was mesmerized by Sally Hepworth’s incredible new novel, The Things We Keep, about memory, family, and so much more. 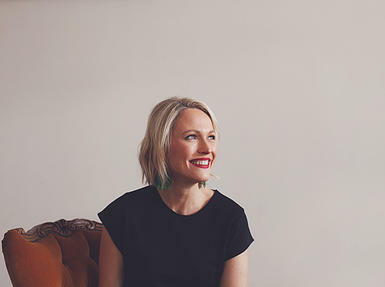 She’s also the author of The Secrets of Midwives and I’m delighted to have her on the blog. Thank you, Sally! So, rather than ask, “Where do your ideas come from?” (every writer I know hates that! ), I want to know what was haunting you at the time that gave root to this novel? I suppose I was haunted by the question: If you take away someone’s memory, what is left? Five years ago, I was flicking television channels when I came across a news segment about a young woman—a newlywed—who was pregnant with her first child. She had also recently been diagnosed with Alzheimer’s disease. She was 31 years old. A couple of years later, I was having coffee with a friend who is a nurse at a dementia facility. She told me about an elderly man and woman who held hands in the communal living area of the center every day. They came into the facility as strangers. Their memories were less than five minutes long. They were both non-verbal. Yet every day, they sat next to each other. Every day he reached for her hand, and every day she allowed him to take it. And for them, every time was the first time. It got me thinking about why people do the things they do and feel the way they feel. I liked the idea of exploring that further in a novel. The idea of not having my mind terrifies me--and my mother now has dementia, which terrifies me even more. While you were writing this, did you find yourself monitoring yourself and your thinking? Were there sections of the novel that were particularly difficult to read? With each novel I write, I spend an enormous amount of time researching, so of course the topic plays on my mind. And yes, as I wrote this book, I became utterly convinced that everyone in my life (myself and my toddler children included) had early-onset dementia. Then again, I am currently writing a book about a woman diagnosed with ovarian cancer and I am convinced I have that! Such is the peril of being a novelist. As for any sections that were difficult to read—there is a scene where Anna doesn’t recognize her favorite nephew and it always makes me cry. I think it’s because even though she doesn’t recognize him, she tells him she loves him. And that, in essence, is what the entire book is about … that love remains, even when nothing else does. What kind of research did you do for this book--and what surprised you the most about it about it? I always begin research with books—lots and lots of books—and this time was no different. I read everything I could find about dementia—fiction and non-fiction. Then I contacted my local Alzheimer’s group. The head of younger-onset dementia met with me on several occasions and read the manuscript and provided feedback. I also met with a nurse who spent her career working with people with dementia. Her stories and experiences fed this story. What surprised me was the generosity of the people in this world who tirelessly advocate for people with this illness, making life better for them every day. In the novel, Eve, a cook at the assisted living place where the two main characters live, is at a crossroads. So I want to ask you--what do you think that we should risk to help others? When does it become too much? That’s a tough one. A person’s desire to help someone will always stem from his or her own values and experiences, and, of course, his or her relationship with the person that needs help. Obviously people are far more likely to help a loved one than a stranger. But, every now and again, someone will step up and risk something for someone else simply because it’s the right thing to do. Those are the kinds of people who deserve page space in my novels. I’ve been thinking a lot about the way our lives touch others around us. The barista we see every morning at the coffee shop, or the crazy guy we catch the train with. The fact that they exist outside those few minutes a day when we see them seems unthinkable sometimes. This might be the seed that starts my next novel. 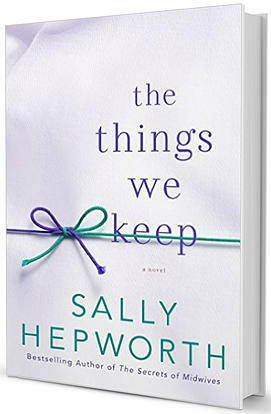 I suppose I’d like to make it clear that this isn’t a book about dementia—it’s a book about human nature. About how we move forward when our past has been built on sand and the tide is coming in. About what is true when everything feels like a lie. About what we are capable of when it seems we are capable of so little. About what we keep.